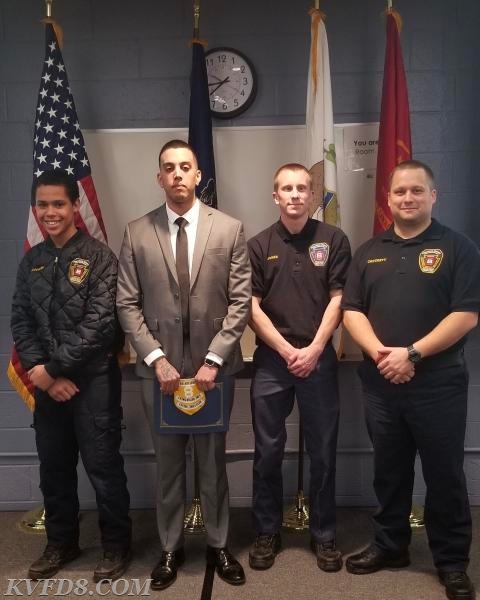 Firefighter Alex Velez graduated tonight from Firefighter I. Over the last five months he completed 180 hours of classroom and practical exercises to earn his National Firefighter certification. His graduation was delayed due to bad weather and the holidays. But it was held tonight at the Chester County Public Safety Training Campus. Firefighter 1 is a 180-hour “recruit” level basic firefighting course. The goal of the course is to provide a person with little or no previous fire service training or experience with the basic knowledge and skills required to function safely and effectively as a member of a fire suppression team in today’s fire environment. Students also received training in Haz-Mat Operations, CPR/AED, and Structural Burn. The final test was for PA State Volunteer certification and National Firefighter I. The entire course was taught at the Chester County Public Safety Training Campus, a new state-of-the-art training facility in South Coatesville. FF Velez attended this course while also working as a cook in area restaurants and dining facilities. Chief Cazillo said,"We are very proud of Alex and his hard work accomplishing this goal. We also thank him for his patience during the wait to officially recognize his graduation." 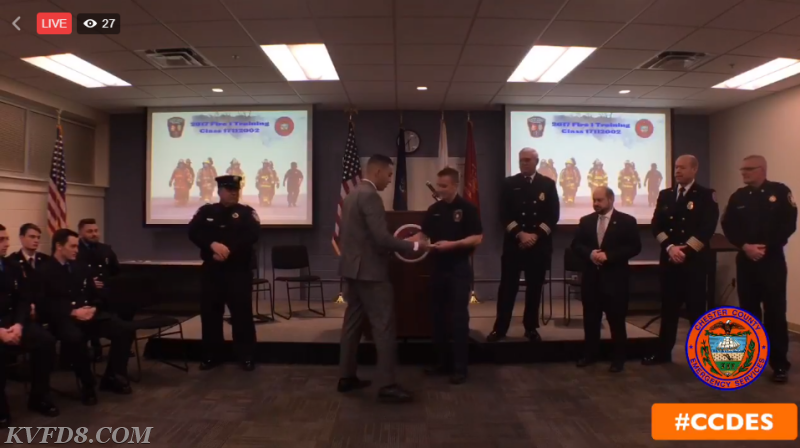 FF Velez (L) receiving his diploma from Lt. Jones (R).